LOLriokart Update 8: Did I mean later? I mean now. in 13 hours. There was much Mountain Dew involved. 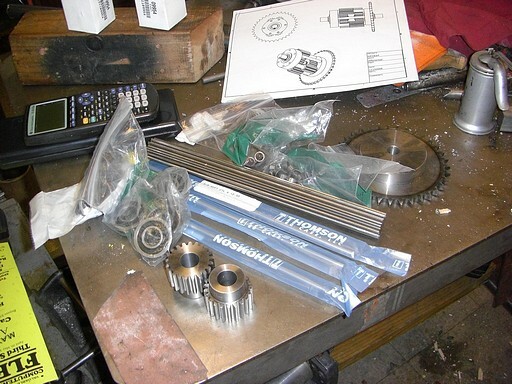 I got the gears, shafts, and bearings in Friday afternoon, to my surprise, as the mail desk folk usually take off early. At first, I wanted to leave it as an exercise in Atlanta. Take the last weekend off to relax, etc. Then I came to my senses. 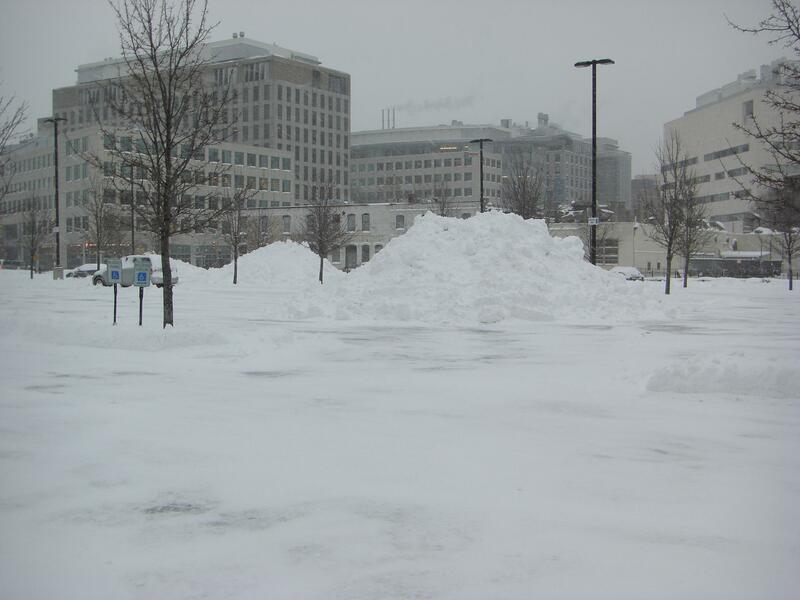 Building IS relaxing, after all, so I crossed the Antarctic continent to MITERS, where I spent the next day watching piles, both of snow and of metal chips, grow in height. Here’s the raw materials rundown on Saturday at 7AM. 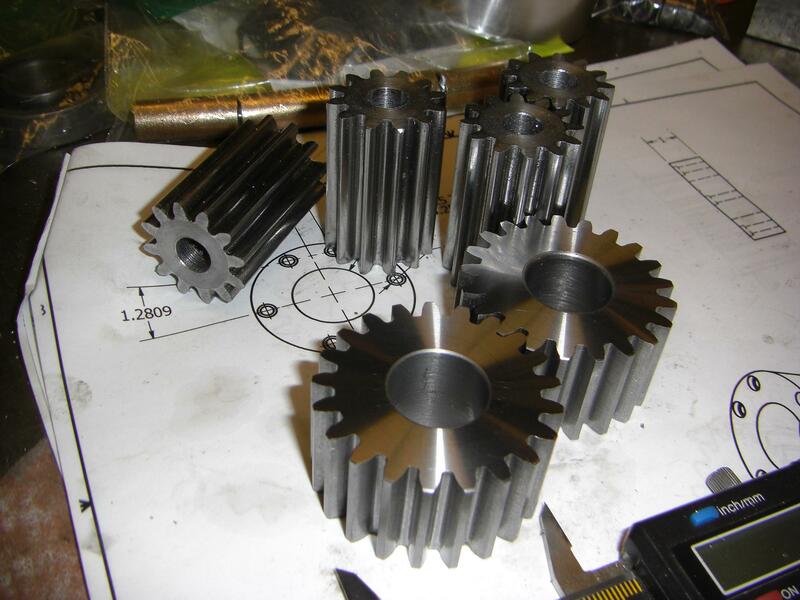 Two 21 tooth, 12 pitch spur gears. 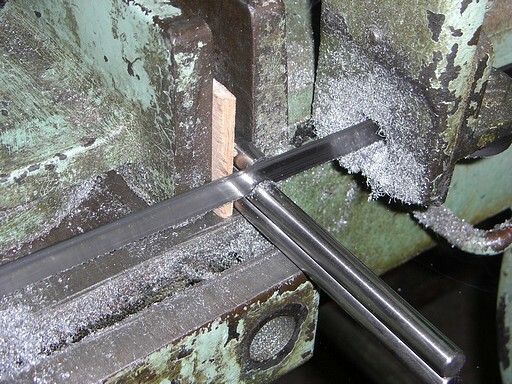 Some lengths of precision-ground 3/8″ shafting. A handful of bushings. 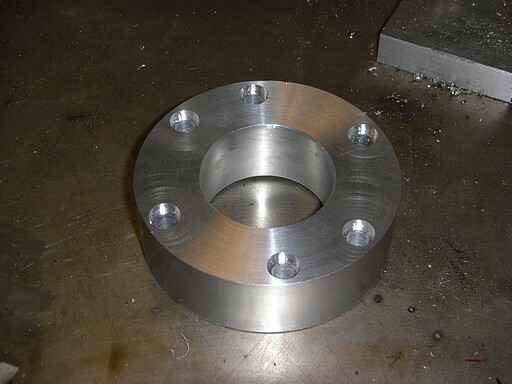 Four large bearings. 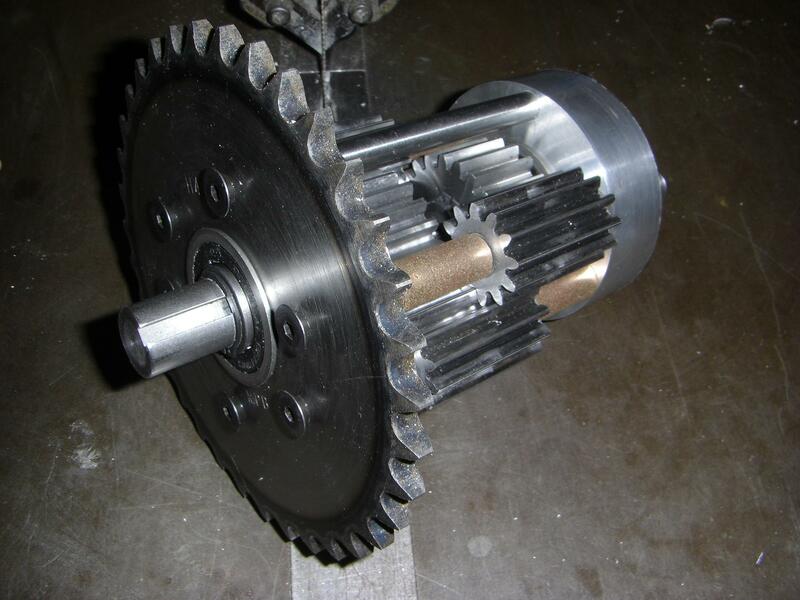 Spur-gear-on-a-stick (pinion rod). 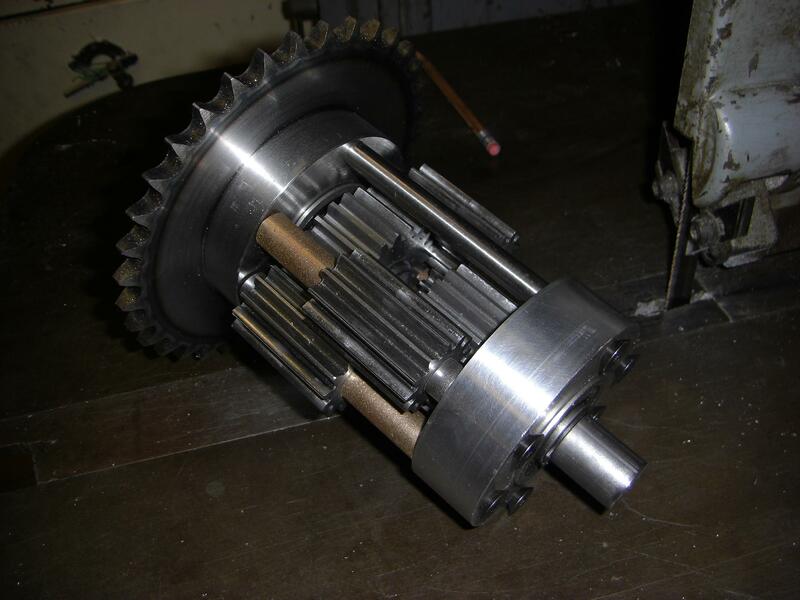 The 3/4″ shafting and large sprocket came from the parts bin. First order of business was roughly machining all the raw parts to final dimensions. Since roughing and finishing operations require different tools and attention spans, I figured it was better to do this now than repeat the process for each part. 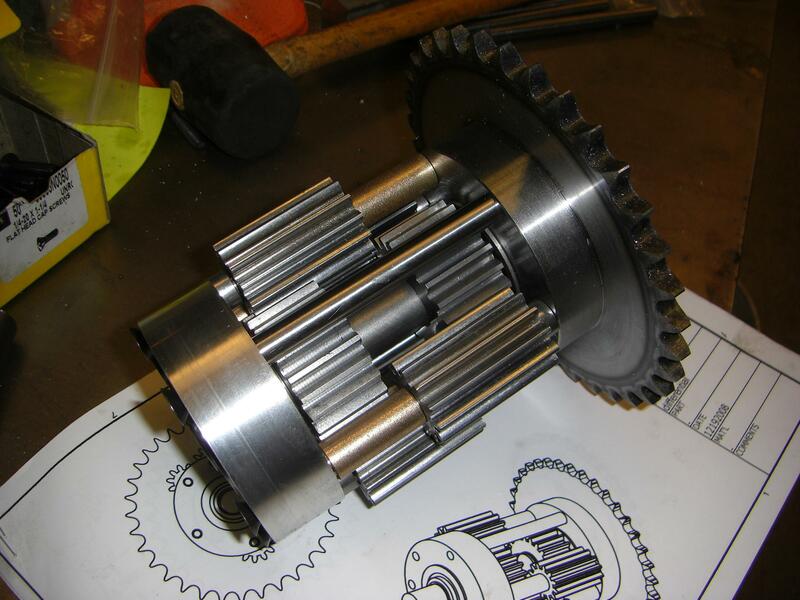 Cutting the hubs off the spur gears. Yes, I know I’m supposed to use a collet chuck for these things to avoid grunging the teeth, but I found that the tips of the chuck jaws fit between two gear teeth nicely. This positive mechanical contact meant I could shove a little harder on the parting tool and have nothing blow up. I needed 6 little shafts. To cut them one-by-one would have been unnecessarily repetitive, so I stacked the raw shaft stock on the horizontal bandsaw and clamped them down with a block of wood. Without the wood,Â at least one shaft would not clamp properly due to a variety of misalignments and tolerances. This way, I could cut 3 at once. 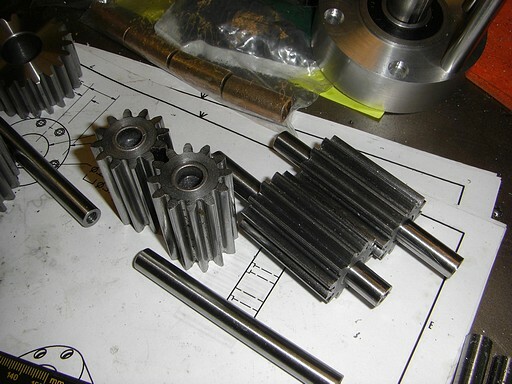 I wasn’t as lucky when cutting the spur gear rod into smaller chunks, since I only had one spur gear rod. It’s giant sprocket time. 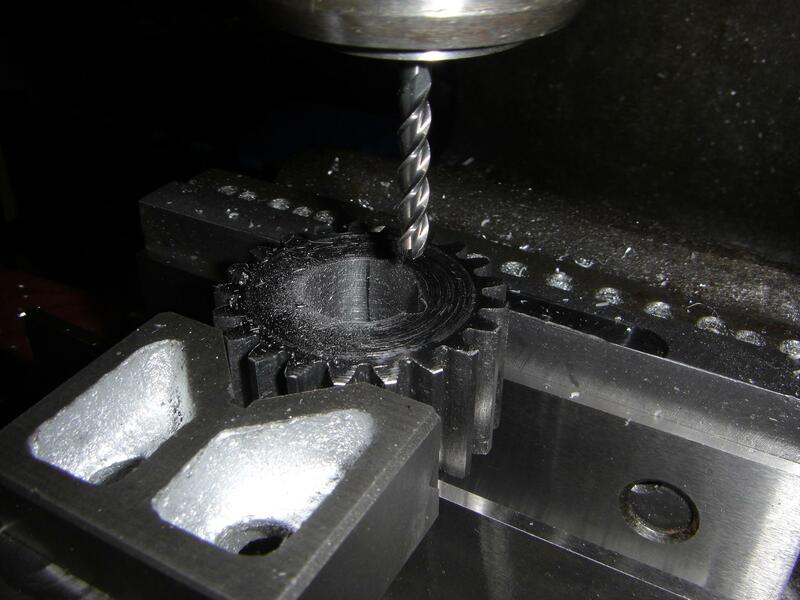 The outside jaws for the chuck are worn pretty heavily, so it’s a bit of a trick actually getting something to run true, especially at large diameters, such as a sprocket hub. 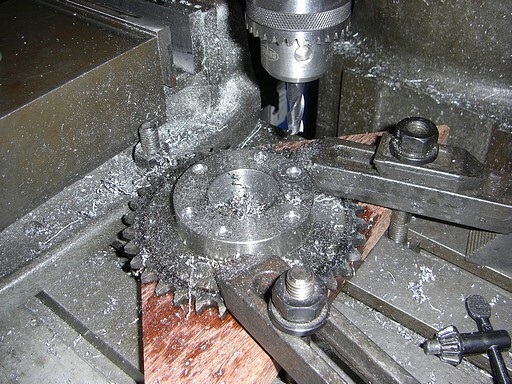 Solution: Squish the sprocket between a lightly-tightened chuck and a live center, then briefly power on. This causes everything to fall into alignment with the center. Then the jaws are sequentially tightened and the center removed. 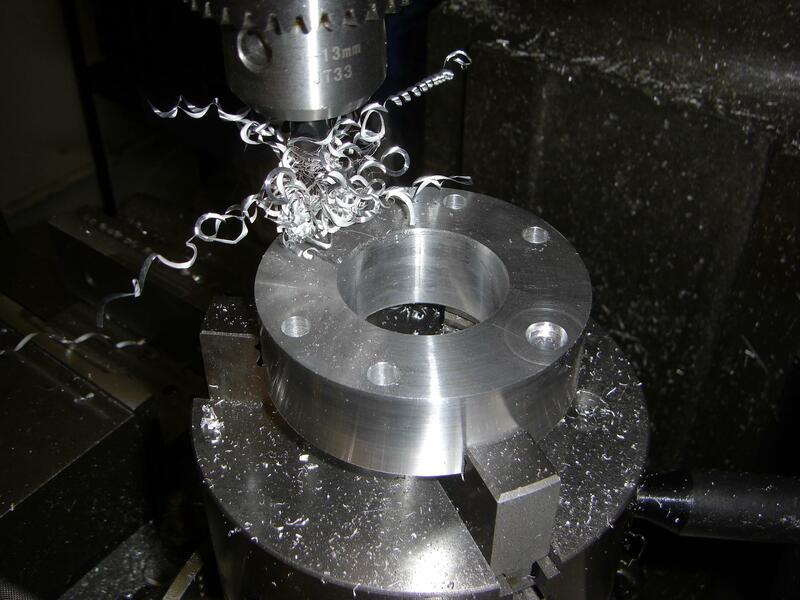 Then cram a shiny, new solid carbide boring barÂ into the tool holder, kick the spindle into the highest speed, and take .075″ deep passes with reckless abandon until the .625″ bore becomes a 1.625″ bore. While it didn’t take long, I did try to justify to myself the purchasing of a CNC lathe for MITERS. I got tired of dodging flaming-hot curls after a while, so I set this chip shield up using two magnets and a piece of grungy acrylic. With one end of the assembly mostly done, it was time to cut a chunk of one of my giant billets and finish the other side. 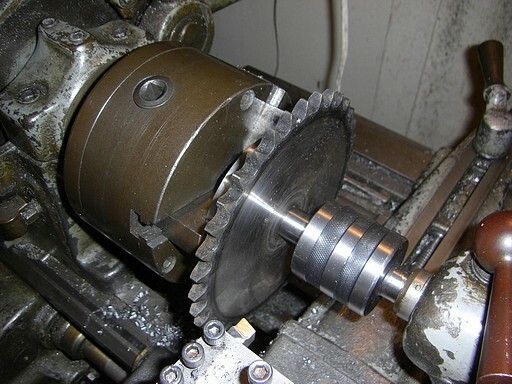 The horizontal bandsaw cuts almost as straight as the outside jaws on the lathe are true (i.e. not very). Since I had to have some kind of reference surface, I planed off the cut end on the mill first. The V-block rests on a parallel, and keeps the round more vertical than it would have been otherwise. To do it quickly, I used the mysterious not-indexable-but-not-single-piece-either facing tool. What the hell IS this thing? Does anyone know? 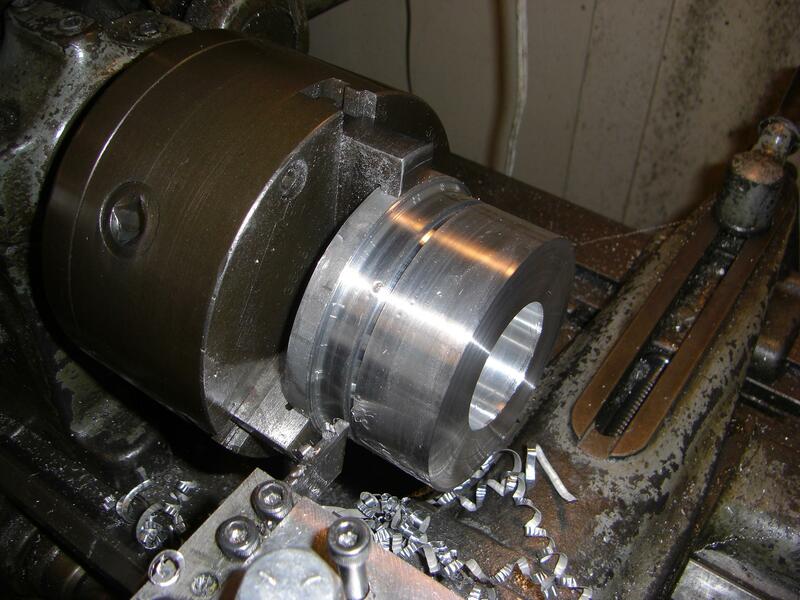 With the round stock shaved down, it was back to the lathe for final dimensioning. Finally dimensioned. Since aluminum is soft and carbide is awesome, I was able to pull off .125″ wide cuts at top speed while cramming as hard as I could, and have it turn out gorgeous AND precise. Of course, cutting the part off was going to be the exciting part. Invariably it is when everything goes horribly wrong because something flexes and the blade jams. To make this worse, it’s a large diameter part on a 50 year old, student-abused machine. With an aluminum toolpost! I scoured the Intergoogles to find out about cutter geometries that would mitigate this problem, and ended up carefully grinding a sort of U-shape to the tip of the parting blade. This curls up the material as it is being cut, and the sward comes out in neat little rolls instead of getting caught in the groove. It turns (LUL PUN) out that parting tools for heavy production use something like this to quickly separate part from stock. 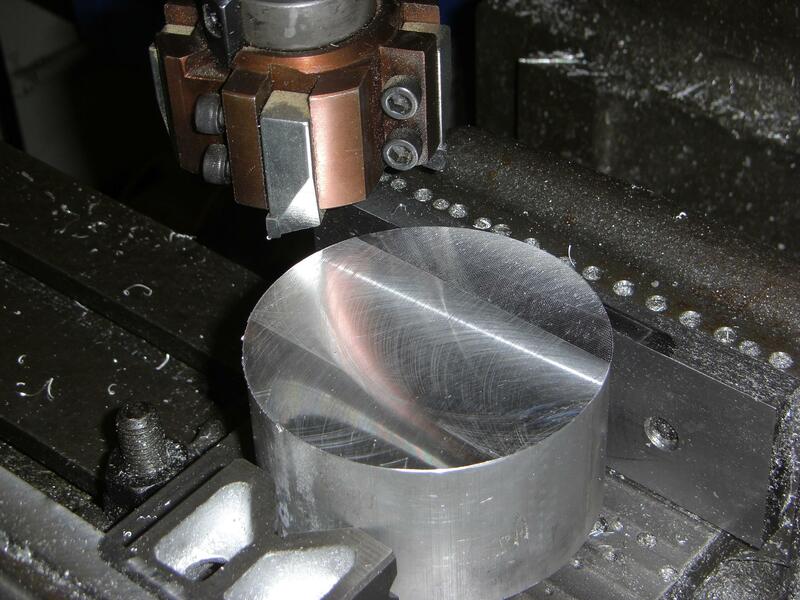 Aluminum donut being machined. I had it on the indexing fixture, but didn’t use the indexing part of it, since all my holes were done in Cartesian coordinates anyway. A spot with a stub drill, a 1/4″ clearance drill, and crafty counterboring with a 3/8″ endmill later, the output carrier was done. Shiny finished and semi-finished parts.Â The second picture is shiny enough such that it may become a candidate for the site banner. Pinions bored out and bushings installed. Since I had a capable boring tool now, I just set it to the right diameter and (again) crammed as hard as I could, on the highest speed. Repeating the hole pattern of the aluminum donut on the toothy steelÂ donut.Â The sprocket didn’t actually fit on anything, so I had to pull out the clamp kit and strap it directly to the table, spaced by buffer wood. With all the holes and miscellanea done, it was time for a test fit. It works! Provided that I keep the output gears off to the side, the rotation is as expected, and there is no binding. So now it was time to make the output shafts. Simple enough – they’re sections of 3/4″ keyed shaft with two grooves. After digging through the pile of random lathe tools we inherited, I found a custom-ground groove cutter with a .075″ wide tip. 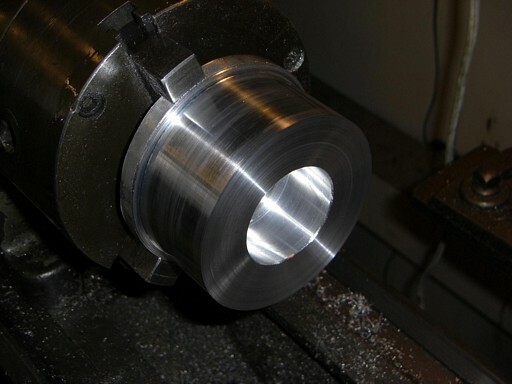 A trip to the grinder turned it into a .05″ wide tip which fit the retaining rings I planned to use. I used to despise retaining rings. Hated them, hated their concept. Mostly because I couldn’t get them off, while trying to grunge a cool part from some old crufy machine. But all that changed as soon as I got ahold of some good retaining ring pliers. Now I find that they’re the most low profile way to make sure something stays where you want it. Hey! That’s not a broach! 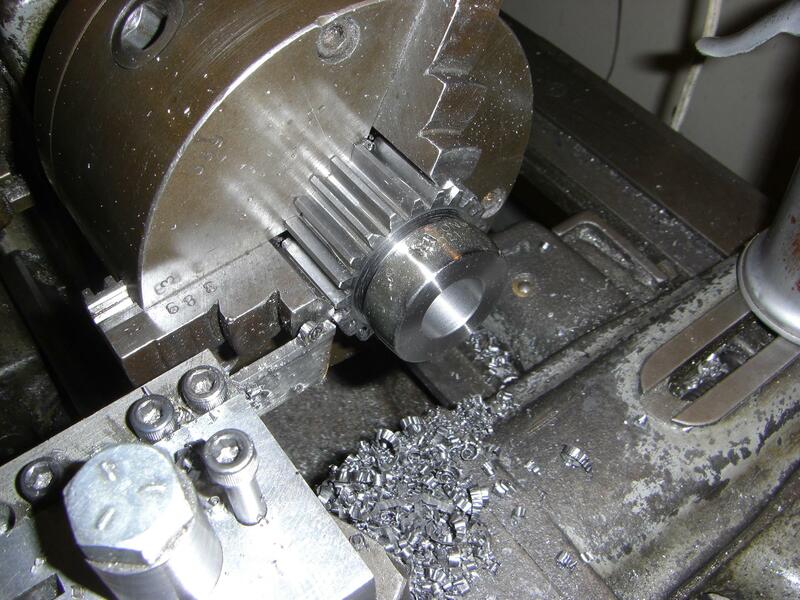 That’s a 3/16″ carbide endmill plunge-cutting a weird half-circle thing! Yep. We don’t have keyway broaches at MITERS, and I couldn’t think of a way to simulate a shaper-planer machine. 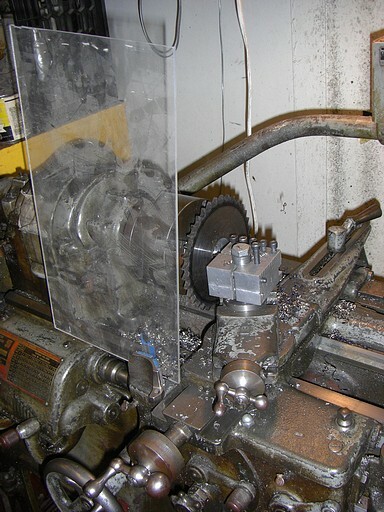 So, in a moment of 5AM engineering brilliance, I found a solution in a spare 3/16″ round lathe tool blank. The half-circle is where the keyway would be if I actually broached the bore. 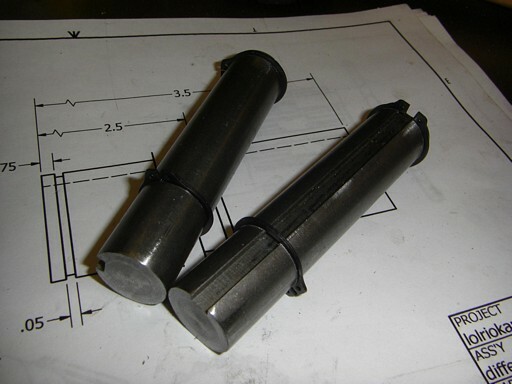 Instead, the 3/16″ rod acts kind of like a pin, and kind of like a key. 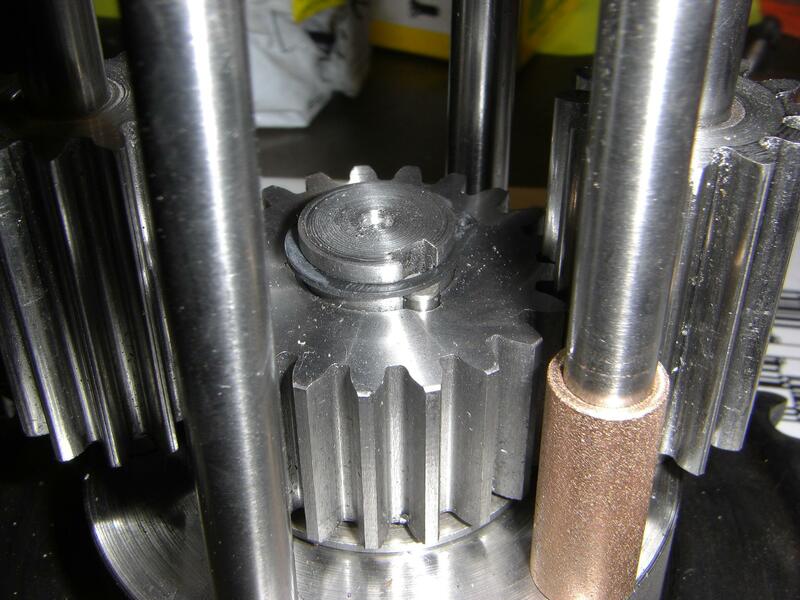 Half of it sits in the square keyway on the shaft, and the other shaft sits inside the semicircle in the gear. It’s a terminal case of round-peg-in-square-hole. A retaining ring keeps everything in place. I’ll probably reconsider the engineering merits of (read: throw loctite upon)Â this assembly after returning from Atlanta. It should, however, not explode outright. The keyway and semicircle may mush a bit, but I don’t think anything will ever catastrophically fail. And with the gears completed, it was 5AM Sunday morning. Time for the final assembly. Yeah, I know, uncountersunk flathead screws. I couldn’t find standard cap screws of the proper length, and the only ones I had which were not too long or too short were the flatheads. I could just countersink everything and be done with it, but that would involve taking it apart again. So, I’ll just get some normal screws later. It works! 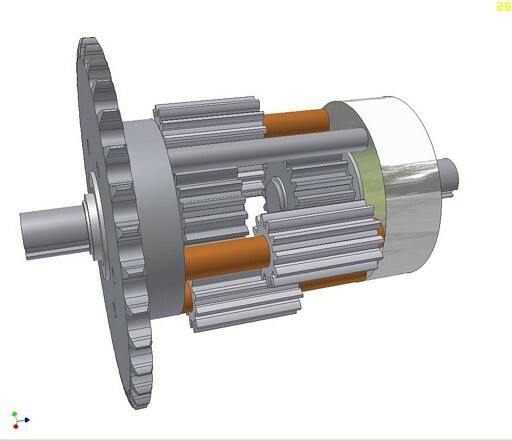 Turning one shaft causes the other shaft to rotate in the opposite direction (in a visual sense, which is the correct result). Attempting to turn both shafts towards or away from me (which is actually a physical opposite rotation) makes the whole thing rotate. The motion is smooth and there is little backlash. One downside is that I used the cheapest, shittiest ball bearings McMaster had. These actually come with some pre-wobble due to their nonprecise nature. So, unfortunately, I do have to use some outboard bearings if I don’t want grinding gears. Alternatively, I could get some real bearings. Something rated for power transmission paraphenalia, not handcarts. Another shot of the gearing. This thing is enormous, and steel. To go all the way, I could have made the aluminum endcap from a steel round I had, but aluminum goes quicker on the machinery. Total weight is probably around 9 or 10 pounds. Theme created by miloIIIIVII | WordPress | Entries (RSS) | Comments (RSS) | 32 queries. 0.223 seconds.